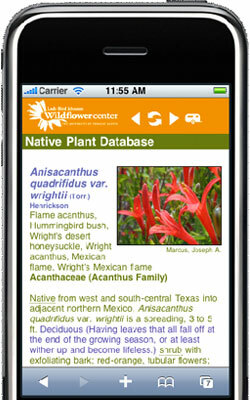 The Research Literature database was created and funded by the Florida Wildflower Foundation. Use the search features below to find scientific articles on native wildflowers that are commercially available or used in restoration projects. Notes: R. Kalmbacher and F. G. Martin. "Response of Creeping Bluestem to Varying Month of Burn and Soil-Water Conditions." International Journal of Wildland Fire 5.2 (1995): 93-99. Notes: D. J. Gibson and P. G. Risser. "Evidence for the Absence of Ecotypic Development in Andropogon virginicus (L.) on Metalliferous Mine Wastes." New Phytologist 92.4 (1982): 589-599. Notes: D. L. Byers. "Pollen Quantity and Quality as Explanations for Low Seed Set in Small Populations Exemplified by Eupatorium (Asteraceae)." American Journal of Botany 82.8 (1995): 1000-1006. Notes: J. Wu, W. Mersie, A. Atalay and C. A. Seybold. "Copper retention from runoff by switchgrass and tall fescue filter strips." Journal of Soil and Water Conservation 58.1 (2003): 67-73. Notes: D. G. Huttleston. "The Four Subspecies of Arisaema triphyllum." Bulletin of the Torrey Botanical Club 108.4 (1981): 479-481.